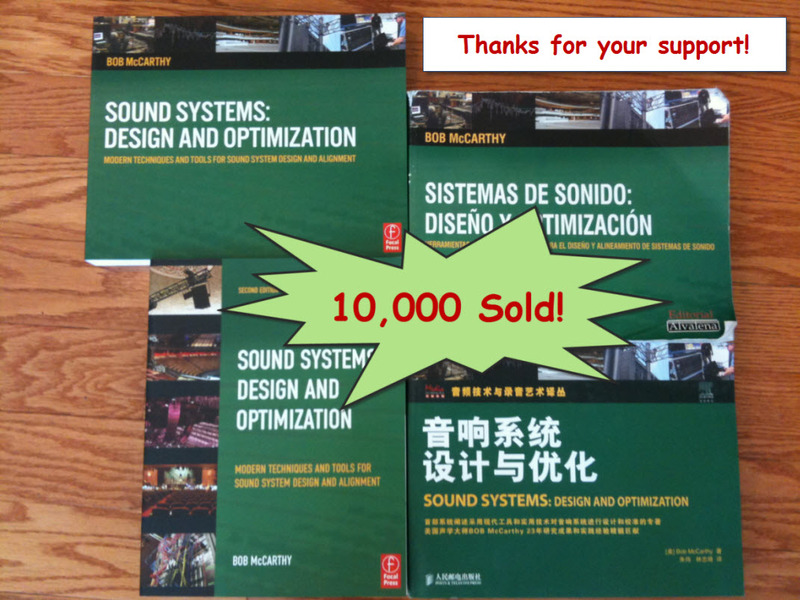 I am grateful to announce that Sound Systems: Design & Optimization has reached the milestone of 10,000 copies sold. Around half of these are the English language editions and the remaining half split equally between the Spanish and Chinese language editions. Work is currently underway to translate the 2nd edition into Chinese. I want to extend my thanks to everyone that has supported this project, either by buying the book, promoting it to others, or helping me write it. Thanks especially to my editor Catharine Steers at Elsevier, all of my peer reviewers and those that contributed photographs and perspective pieces for the book. Thanks also to John and Helen Meyer, Gavin Canaan, Mac Johnson and all the staff there that continue to support my educational efforts through their sponsorship of my seminars and to all who have taken their valuable time to attend them. Thanks also to everyone at LiveDesign, Rational Acoustics, TC Furlong, and others that have helped promote this book. Also to Ana Lorentz for translation of the Spanish Edition and to Magu for his help in that effort. Finally my highest gratitude goes to my wife Merridith who negotiated the deal and was one of just two people (along with Thorny) to read the whole book during its development. When this was written I felt that less than 1250 books would be a failure, and anything more than 2500 would be a success. Reaching 10,000 in less than 4 years is far beyond my wildest dreams. So thanks a million, I mean a ten thousand. 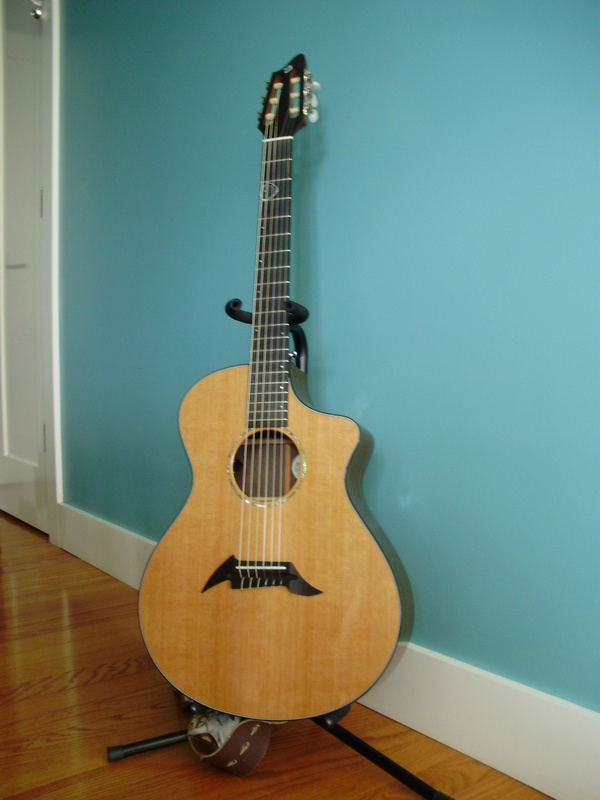 In case you are interested: Here is what I did with the proceeds from the book: I crossed back over the art/science line to a 1978 Gibson Johnny Smith, and a 2009 Breedlove Bossa Nova. Thanks for writing it, see you in kingston. A well-deserved congratulations, Bob! Innumerable systems have been better implemented as a result of your efforts; keep up the good work. it’s quite an accomplishment with print media at an all time low and I would guess that personal knowledge on the subject is low as well. 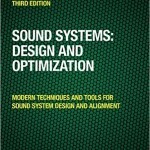 If I was teaching audio this would be my third year text book after the first year Live Sound by Mix Books and second year Yamaha Sound Reinforcement. 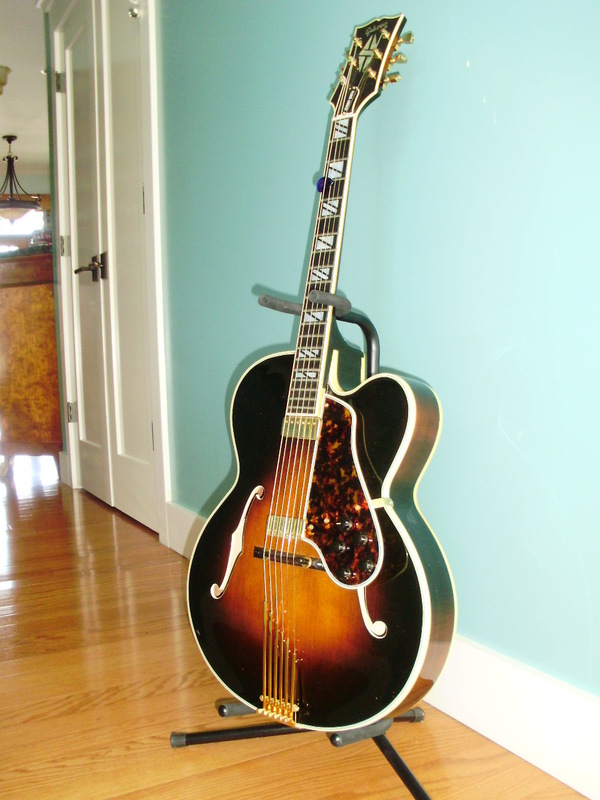 It’s a great addition to my book shelf and maybe one day it will look as bad as my Yamaha book from overuse. Congrats to you, well deserved. A great book, which sits right next to the big yellow Audio bible; I am sure you know what book I’m talking about! Congratulations on the 10K book milestone (and for your choice of rewards pictured above). The book is a great learning tool and I’ve been studying it carefully and learning from it greatly. I really enjoy your writing style. Thanks for sharing! hello,,i want to buy this book but i cant find de spanish version,,you have a site were i can order,,thanks fot your help!!! Doesn’t look like the second edition in there, yet. I’ll check on that and get back to you. Only the 1st edition was translated to Spanish and Chinese.